Most of my family grows olives and they harvest and press it in the old fashioned manner. They know about acidity, pungency and scent and often sit exchanging tips and boast about the quality of their oil. Having never been trained in olive oil know-how myself, I have always literally followed my ‘nose’ and sense of taste when choosing oil. 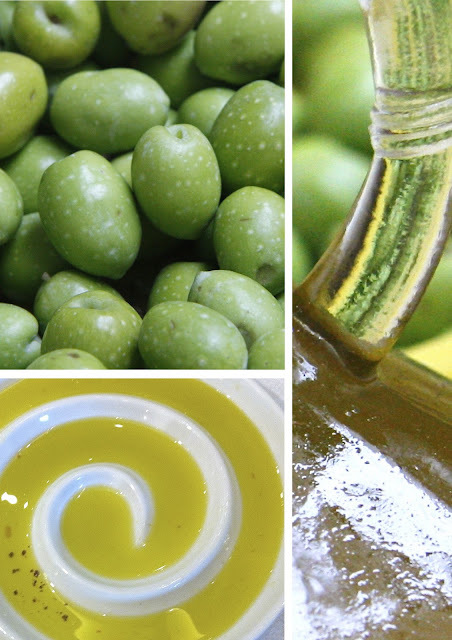 I relied on the memory of days gone by, when I lived in Lebanon and the new season’s olive oil came to our table having been just pressed. This was a long time ago; way before we even contemplated using other vegetable oils for cooking. We used extra virgin olive oil, for dressing, cooking, baking, and frying. In fact the tastiest French fries were fried in olive oil! While I was at the Beirut Cooking Festival at the beginning of November, I attended an olive oil tasting workshop by Hussein Hoteit who is involved in L’olio del Libano, a joined venture between The Mediterranean Agronomic Institute and the Ministry of Agriculture. Hoteit, pointed that colour had no bearing in choosing olive oil, scent however was essential. Good oil is aromatic with hints of fruits and herbs and flowers whereas bad oil may smell and taste like straw or deadwood. New oil is peppery and stings the back of your throat whereas 18 month-old oil when stored in the right conditions, is smoother and sweeter tasting. Store your oil in tins or glass containers and keep them in a dark place under 30°C temperature. Balila is a healthy, cholesterol free meal full of nutrients. 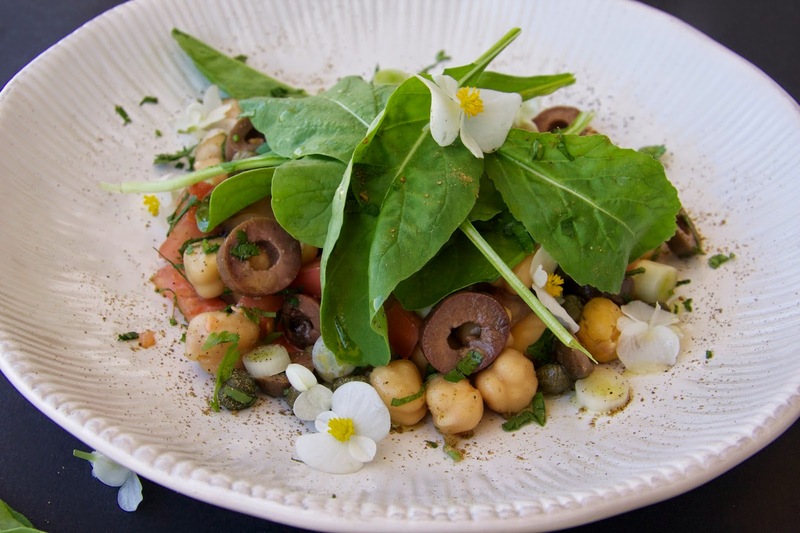 This recipe is my take on traditional Balila, with a few added ingredients…. 1. Re-heat the chickpeas on low with a little added water. Do not fully immerse as the mixture will be too runny but keep an eye to ensure that they do stick to the bottom of the pan and burn. Reserve a tablespoon to use as garnish at the end. 2. Crush the garlic in a pestle and mortar and gradually add olive oil until the mixture emulsifies and almost doubles in size. 3. Add cumin, black pepper and salt. 4. Add the garlic mixture to the chickpeas and leave to simmer on low heat for approximately 5 minutes. Stir occasionally. 5. Cut the Arabic bread in 6 triangular portions and brush them with olive oil before sprinkling some sea salt and cumin. 6. Place the bread under a hot grill for about 2 minutes on each side until they turn a golden brown colour. Set aside until ready to use. 7. 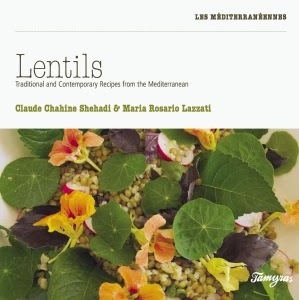 Add the juice of 2 lemons and more olive oil to the hot chickpeas. Mix thoroughly, set aside and keep warm. 8. If your capers come preserved in salt rinse them, if they are pickled in brine drain the liquid. 9. Just before you are ready to serve, dress the tomatoes, spring onions, olives, capers and herbs with the rest of the lemon juice and olive oil. Taste and add salt and pepper. If you dress them too early they will wilt and become soggy. 10. 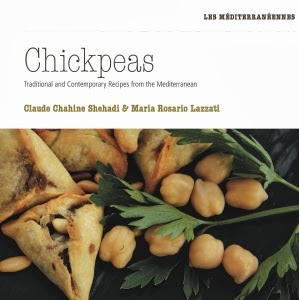 Serve 2 tablespoons of warm chickpeas in an individual dish, top with salad mixture and serve with grilled bread.